If there’s ever been a silver lining to a plane crash, we’ve found it! Long story short. Plane carrying Muz terrorist family crashes into a car park, everyone on board perishes, no one on the ground gets as much as a paper cut. And if you feel the urge to shout Islamophobia! We are anti Zionist, anti Marxist and most likely anti YOU as well. 😉 Lighten up! 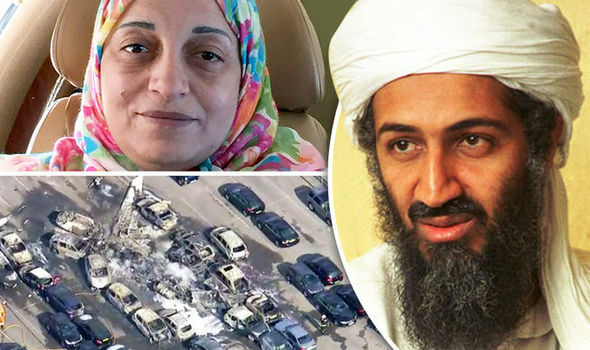 OSAMA Bin Laden’s stepmother and half-sister were reportedly among four killed in yesterday’s horrifying plane crash in Hampshire. 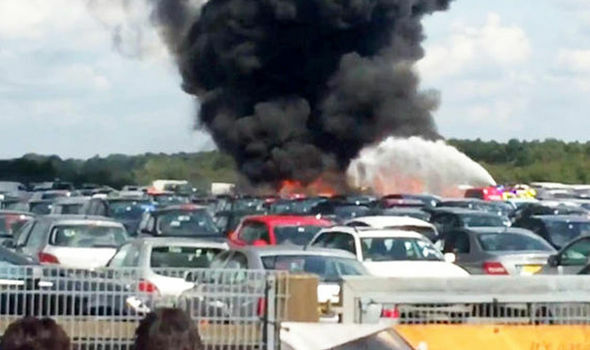 The pair were killed along with the half-sister’s husband when a Phenon 300 executive jet burst into flames as it plunged into 15 parked cars at Blackbushe Airport in Hampshire, according to Arabic media reports. 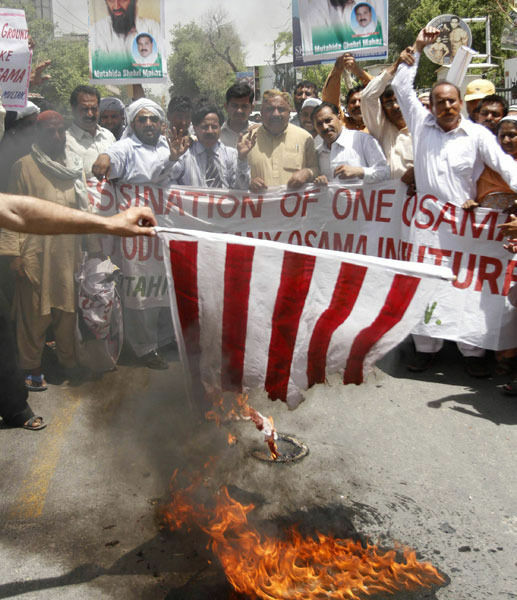 The group have since been named by a family friend as Rajaa Hashim, the stepmother of Osama bin Laden; Sana bin Laden, Osama bin Laden’s half-sister; and her husband, Zuhair Hashim. The plane’s Jordanian pilot, who has not yet been named, were also reportedly killed. he tail number of the plane, HB-IBN, was originally used by his father Mohammed before he died in a crash in 1967.But the Bin Laden family retained the registration after his death.The plane was flying into Hampshire from Milan in Italy when it overran the airport runway before crash-landing into the parked cars at a car auction. 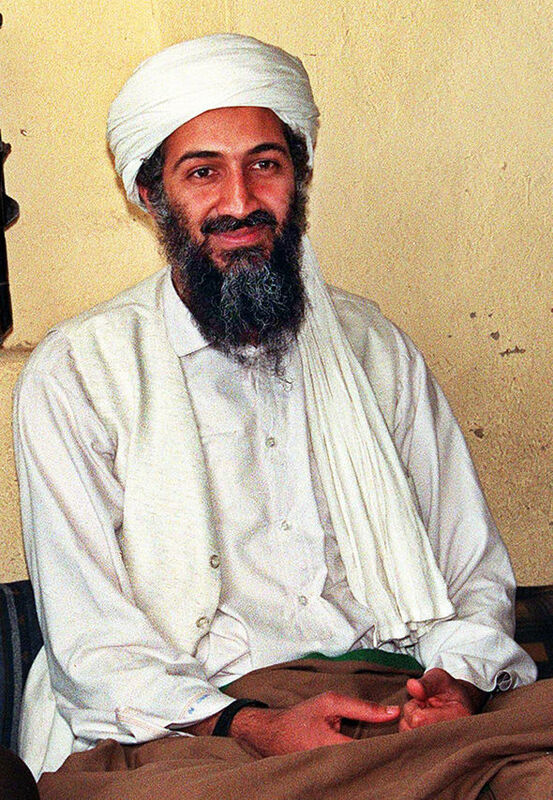 Bin Laden was the founder of notorious terror group al-Qaeda, which was behind the horrific September 11 attacks in 2001, killing almost 3,000 people.He was shot and killed by US Navy Seals in May 2011. Witness Daphne Knowles, a retired research scientist at the Ministry of Defence, said she knew immediately “something was wrong”. She said: “The plane looked like a business jet and it was flying too fast and too low to be able to land at Blackbushe Airport.”It just dived down towards Blackbushe and the next thing I saw was a huge column of thick black smoke.”At first I thought it was a fighter jet because of the loud noise it was making and also because it was moving at such a high speed.”It was flying with its engine screaming and very fast – I knew straight away that something wasn’t right. Andrew Thomas, who was paying for a car at the time of impact, said the plane “exploded”. Officers were called just before 3.10pm. Acting chief inspector Olga Venner of Hampshire Police said: “We can confirm that there were four people on board, including the pilot.”Sadly there were no survivors. 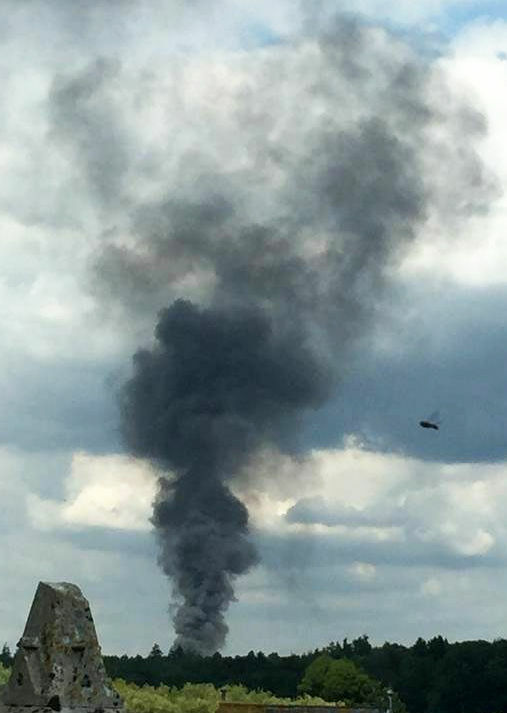 No one on the ground has been injured and we would urge anyone with any information, including pictures or videos, to contact 101.”She added that police had launched a joint investigation with the Air Accidents Investigation Branch.The airport is close to the M3 and A30 and motorists have been advised to avoid the area.